Performance poet Jacqui Malins looks her audience in the eye and takes them by the (metaphorical) hand – or throat! Passion and humour populate her poetry. Nearly everyone wishes they could fly. Come flying in words, with birds and with humans, in a variety of vehicles, with performance poet Jacqui Malins. Try writing poetry designed to be spoken aloud. 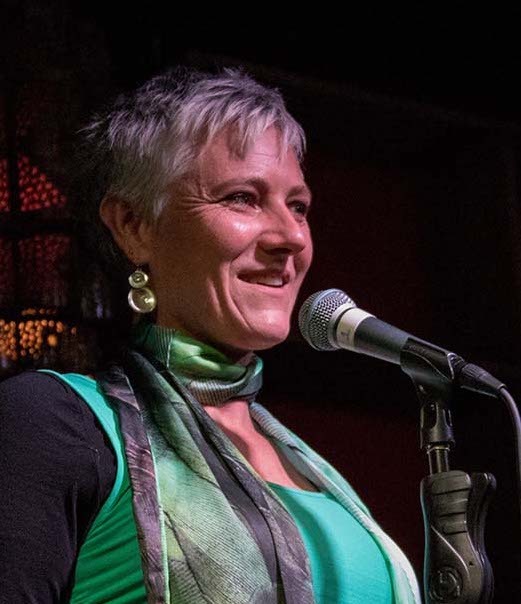 Jacqui will give you ideas to get started with writing for spoken word, and workshop ways to get your words working out loud as well as on the page. Hands-on. No experience required! 15 places - register at the venue - first come, first served. Join Jacqui to learn and then try out practical skills for poetry performance. Pacing, pausing and dynamic expression will give your words impact. 15 places - register at the venue prior to session start time. First come, first served.